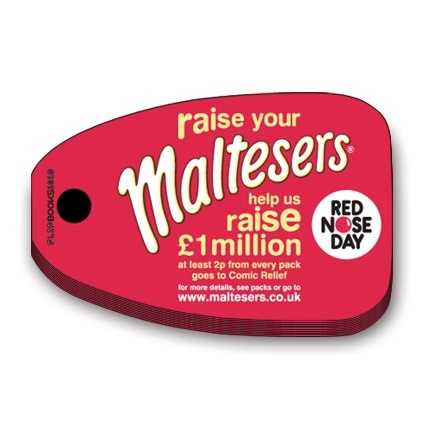 The purpose of the campaign was to “Give Comic Relief a lift” by getting people to make a video of how they raise their Maltesers. Whether they blew them, juggled them or threw them, the funniest videos were to be uploaded to Maltesers’ website, and the winners to appear in the TV ads. 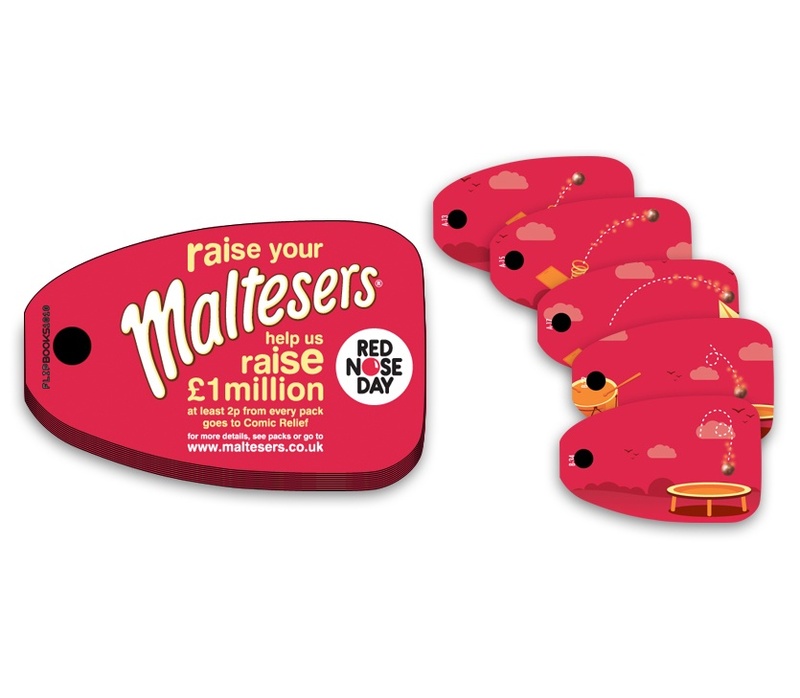 The brief was to create ‘Flipbook’ animations of the Malteser getting lifted in wacky ways. The first shows the Malteser being catapulted out of a jack-in-the-box onto a paper aeroplane and then disappearing off into the distance. The second animation shows the Malteser being bounced around on a drum and then being flung onto a trampoline, finally disappearing off the trampoline due to an enormous bounce. Media Circus took the Malteser branding and created the animations by producing 80 separate frames showing the fluid movement of the Malteser, each moving in sequence to create the animation when the pages of the flipbook were flipped.